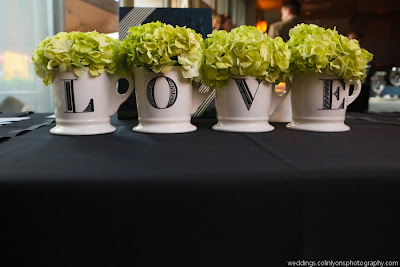 Guest bags- little bags/boxes/baskets that greet hotel guests at check-in- have become a norm in weddings. Guests appreciate having a snack and some ibuprofen throughout the festivities and its an easy way to personalize your wedding. Planning for this little extra stresses my clients. They want them to be full of fun and useful stuff, plus they'd like them to coordinate with the wedding decor and invitation, plus they need to be packed and ready to go during a very hectic time. 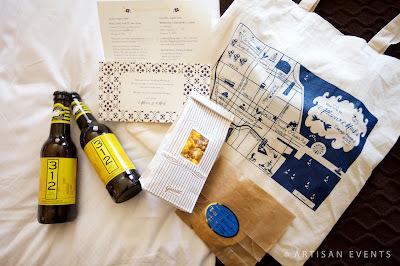 I started offering personalized guest bags as a service and its been pretty popular. Its nice to have one more thing to pass off! I take several things into consideration when planning these bags. Where are the guests from? What is the schedule for the weekend? How much down time will the guests have? Most importantly, what is your budget? You can include a few little things to make your guests feel appreciated, or you can really do it up to set the tone for the weekend. This guest bag featured a map drawn by the very talented Sarah Hanna printed on a soft, reusable canvas bag. Tucked inside were a bag of Garrett's popcorn (famous in Chicago), 2 bottles of 312 (another Chicago favorite- 312 is the area code for Chicago's loop and Goose Island was started here), a cookie from Tag's in Evanston, the bride's favorite childhood bakery, an itinerary created by Sarah Drake and a few other comforts. The guests were thrilled! This guest bag was created for a wedding in the sweet beach town of St. Joseph, Michigan. Everyone was an out-of-towner, so the bag offered lots to do and see in the area, as well as a little first aid kit, bottled water and snacks. The highlight of this box were two little breads, made by the bride's mother. The little sticker on top shows off the couple's dog, hand-drawn by Anne Benjamin. Have you seen any creative ideas for guest bags? When looking at wedding dresses, I was totally anxious. There is so much pressure to pick the perfect dress. So when we went shopping, I was overly critical of every detail and dragged my mom, sister, niece and at one point my brother and his girlfriend around Chicago AND New York trying to pick out a dress. After shopping some local boutiques in Chicago, I made a trip out to New York with my mom, sister and her 6 month old, Eloise. My brother, Charlie and his girlfriend, Sasha, lived in New York at the time so they tagged along for a day of dress shopping at Kleinfelds and Lovely Bride. Say Yes to the Dress was pretty big when I was dress shopping so we started at Kleinfelds. I tried on a bunch of very vintage feeling Jenny Packham and Claire Pettibone gowns but wasn’t in love with anything enough to commit. Lovely Bride was probably the cutest boutique I’ve ever been to in my life. I so badly wanted to find something there but we walked out empty handed. After failing in New York, I did some serious thinking about what I actually wanted in a dress. I wanted the dress to feel like me and not like I was playing dress up. 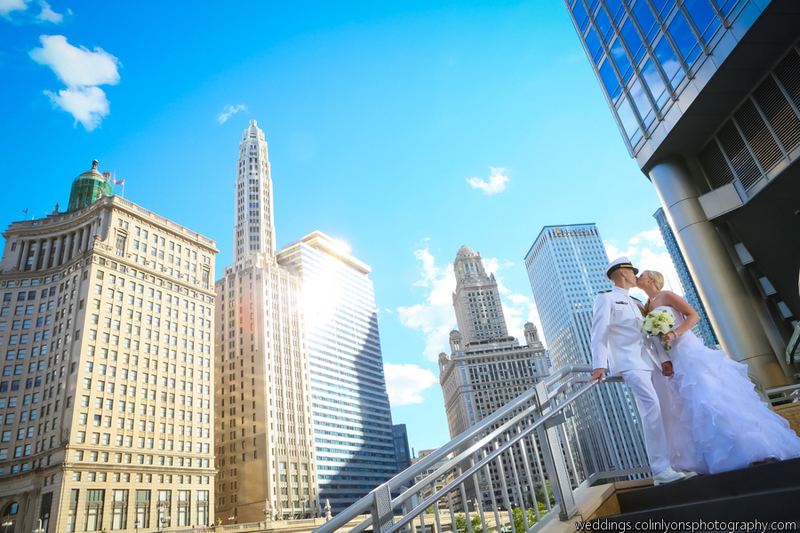 Natalie, my mom and I made one more trip in Chicago to Ultimate Bride. I was feeling pretty defeated until I slipped into one last dress of the day- a silk chiffon, Grecian style Lela Rose dress. It felt like heaven on. It weighed absolutely nothing and was lined in silk. I was so comfortable and didn’t want to take it off. I was done. 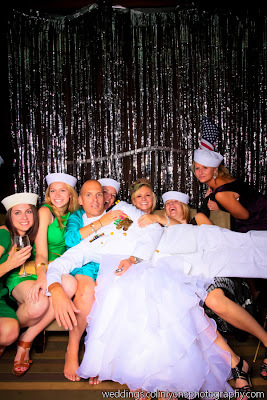 On my wedding day, I felt the same way- totally comfortable, ready to dance and run around. Ultimately for me, comfort was the biggest deciding factor. What made you decide on your dress? I live in Denver and we are treated with some seriously wonderful weather this time of year. Its been in the 60s for weeks and I've slowly started packing up my sweaters and pushing my boots to the back of the closet. But today, it is 20 degrees and we have a bit of a blizzard on our hands. I'd already mentally broken up with winter for the year so when I had to pull out my winter boots to walk the dog last night, my mind was pulling me towards summer and away from the snow. 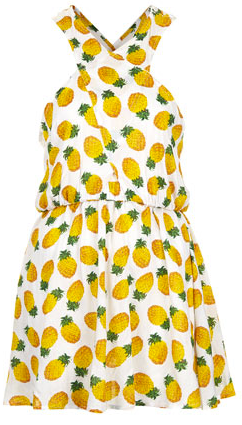 In my mental escape from winter, I'm dreaming of the tropical: pineapples. There's something unexpected about produce in a center piece and a pile of pineapples could make a great statement piece for a summer beach wedding table. 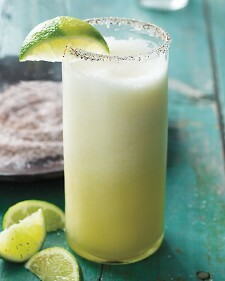 And I love the idea of a pineapple margarita for a signature drink. 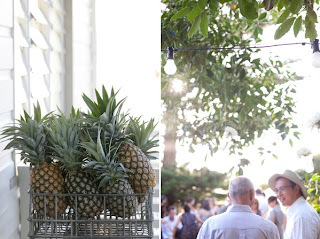 Pineapples are an international symbol for welcome. 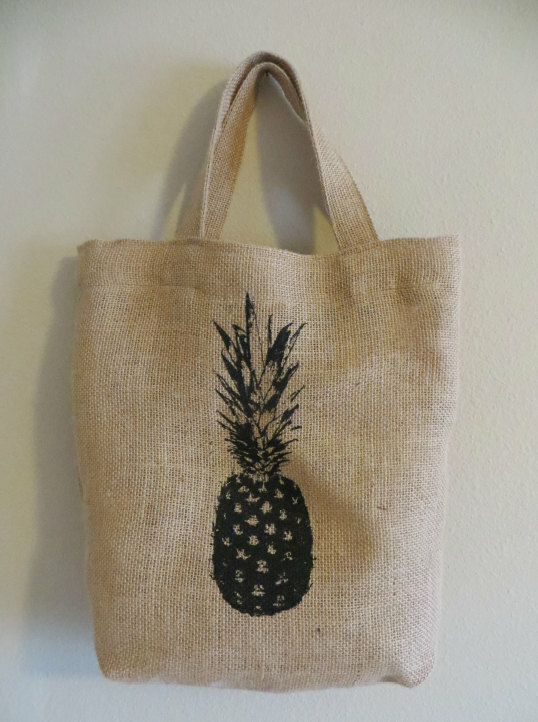 What better way to welcome out of town guests than with this pineapple tote? Wouldn't these make sure a fun alternative bridesmaids dress? Or maybe just a honeymoon on the beach. Summer may still be a far off memory but until then, I am gonna be sitting by my furnace, drinking a margarita in a sundress. 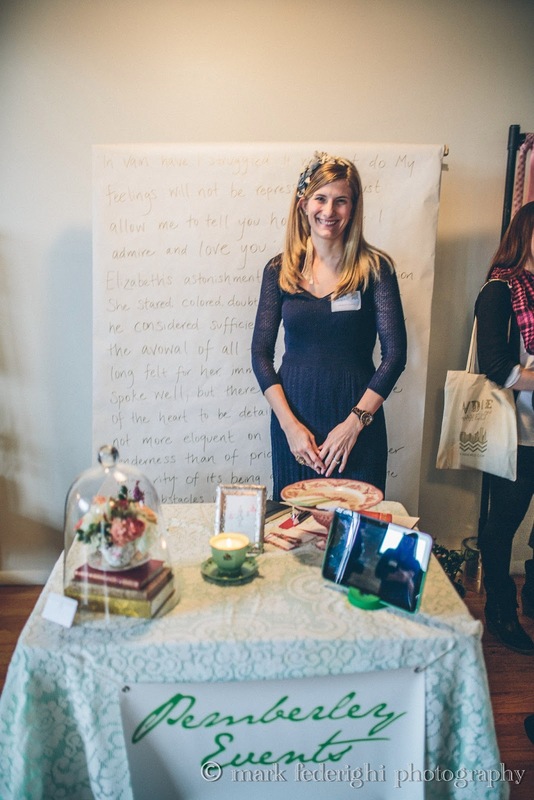 My beautiful and wise sister Elise has agreed to write some guest blog posts for me. She is much cooler and more knowledgeable about fashion and stuff. Please welcome Elise! Last year, my husband, Bill, took a job in Denver. We packed ourselves up with our dog, Bobby Jenks, and headed west on a new adventure. I've lived in the Chicago area my whole life and in the city of Chicago since college. I've always considered myself a city person and living in Denver has been an entirely new world of hiking, skiing and having pretty mountains to look at on my morning drive to coffee. On the weekends, I love my morning yoga classes, buying myself flowers at the local market and coming home to read a good book or listen to This American Life. If we're lucky with weather, which seems more often than not in Denver, we'll go for a day hike or ski and wander through mountain towns and usually end up at one of the micro-breweries. Moving to a city where you know no one can be scary and exciting at the same time. For us, its become just one long honeymoon and always feels a bit surreal. 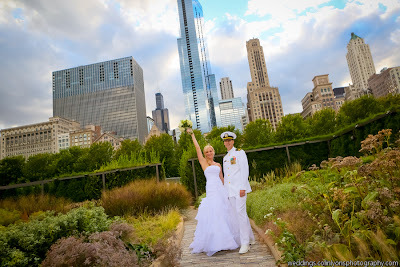 I never really thought much about wedding planning until I had to plan a wedding of my own in 2011. I love fashion and worked in the industry out of college planning fashion shows and events in Chicago but never connected my day to day fashion life with wedding fashion. My sister, Natalie, has been planning weddings for years and when it came time to figure out what we wanted our wedding to be, Natalie was a total life saver. I loved thinking about the pretty things and she had an amazing ability to figure out how to make the details work. Our wedding was rustic with eclectic touches and felt very much like us. I loved the idea of a "Midsummer Nights Dream" wedding with lots of candles, big branches and just earthy touches. Planning my own wedding really made me think about how style and weddings can be so connected. It's not about "wedding fashion" but just your personal style and planning a big beautiful party you can be proud of that feels like you. You can also find Elise on all those social networks. James is in the Navy and looked so smart in his dress whites. 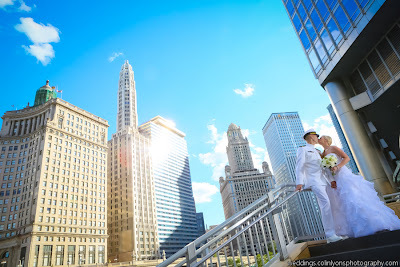 Kristin worked with Petal Play Designs to come up with a subtle nautical theme that played so nicely with the colors and design of the Park Grill and with James' uniform. 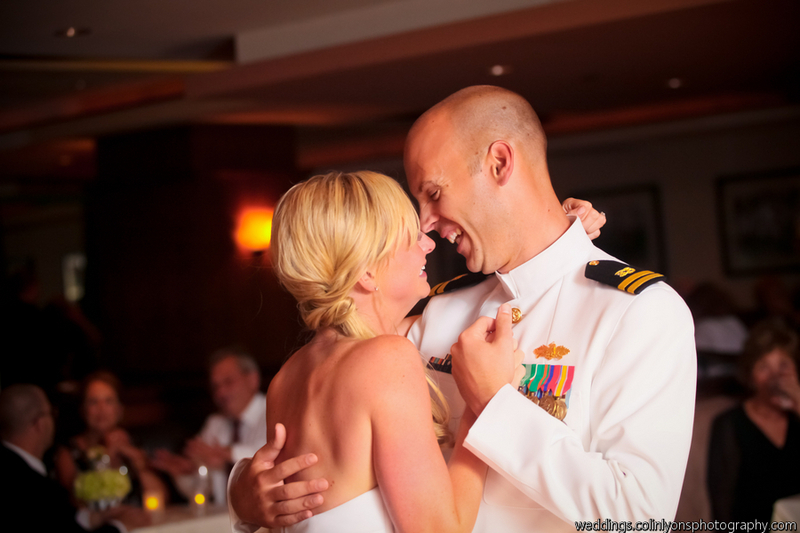 These two were so in love, I got teary during their first dance. You could see him singing to her. I love my job! 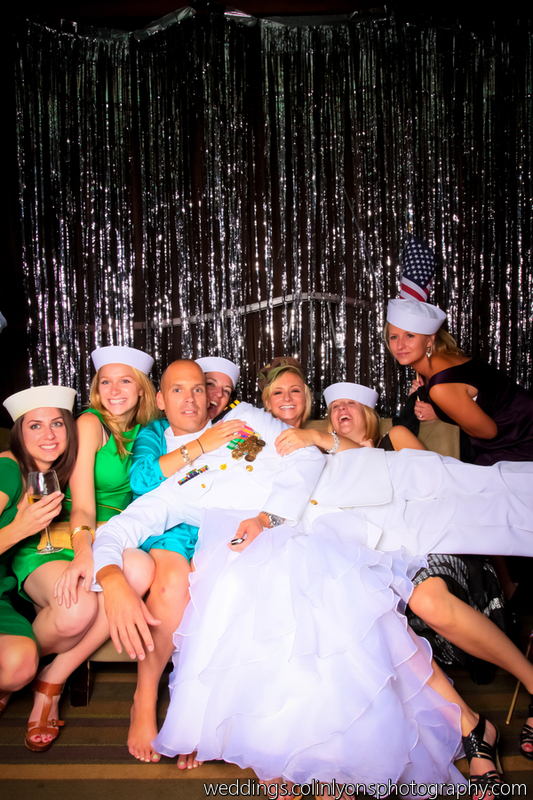 Colin Lyons and Kristin put together a photo booth with a sparkly backdrop and Navy surplus hats. That was the only thing distracting guests from the crowded dance floor. 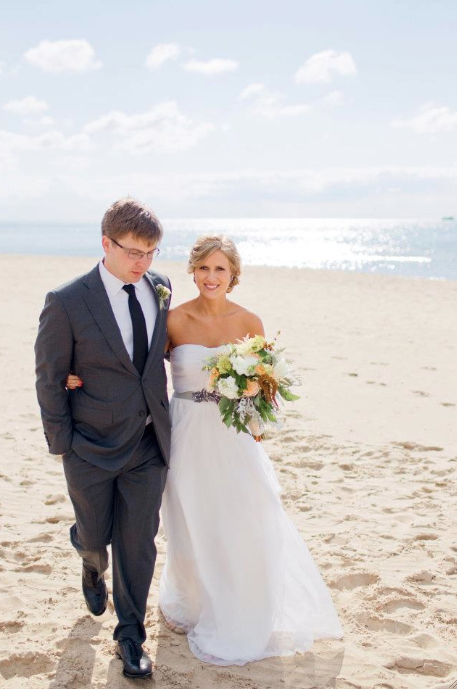 Sarah Drake and I first worked together on Allison and Mark's wedding last summer. She welcomed us into her sweet, sun filled studio with some very yummy coffee and beautiful paper. I love, love, love going to invitation meetings, digging through books and feeling paper. Sarah does, too, so she didn't mind talking weights and ingredients (can you say that about paper?). 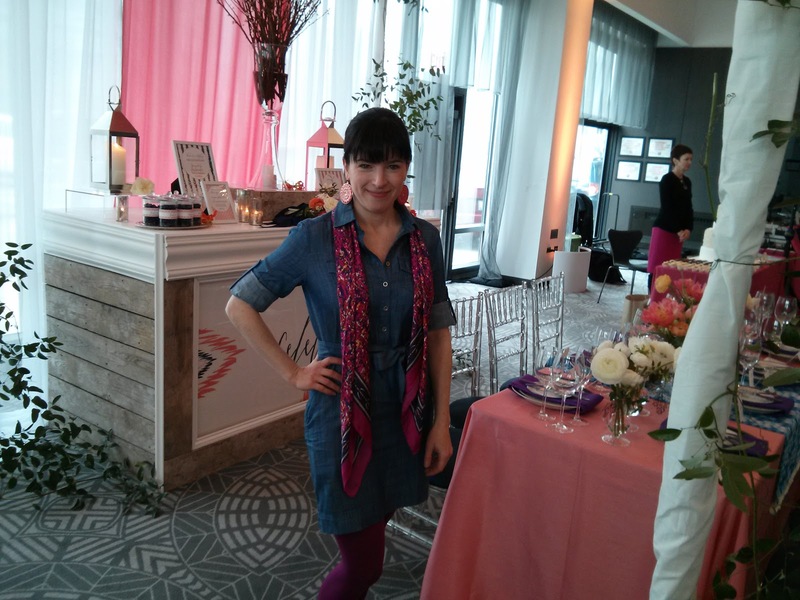 Allison had some wonderful ideas involving hand-drawn florals and Italian paper. Allison and I really enjoyed the whole process. Sarah came up with some very original ideas that meshed well with Allison's overall theme. I also just liked plain liked her. 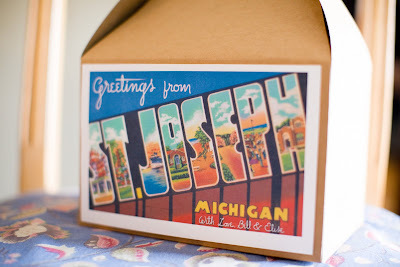 When Sarah sent me an email about her new invitation line, I was so excited to share it! I love all the little details- the liners, the backing, the textures. I would love to get one of these beauties in the mail. Congrats, Sarah! I was lucky to be able to attend the Martha Stewart Wedding Show with the Wedding Library this past weekend. I have had a crush on Darcy Miller (MSW's editorial director) since I was engaged a million years ago. She has a lot of fun ideas and a really fun- can I call her spunky?- personality. I always thought she brought the best out of Martha when they were together on her show. Once, I got to see the show and it was pretty awesome. 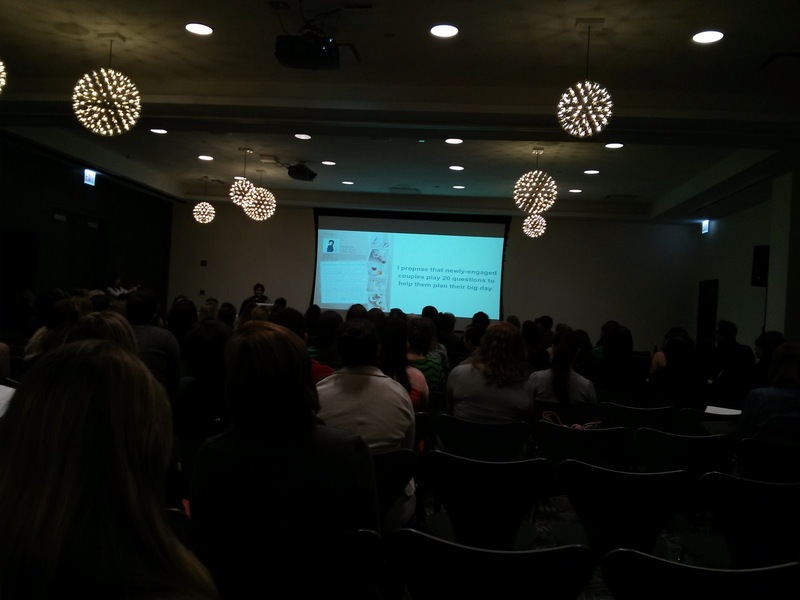 I sat in the back, a bad habit that I picked up during grad school, during Darcy's presentation and panel. Hence the horrible photo. I'm only posting because I liked the light fixtures at the Radisson Blu. 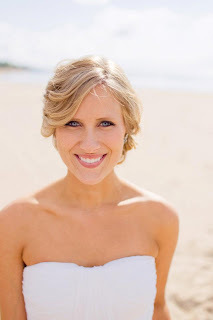 Darcy discussed how to personalize your wedding. This is my specialty and passion, so my ears perked up. She gave out some really amazing ideas, but nothing great for the budget conscious bride. 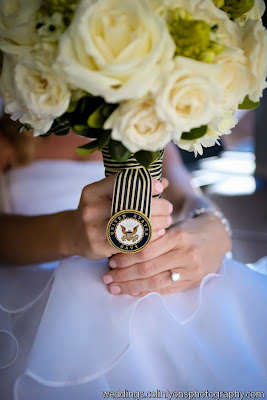 I really don't think you need to buy stock in Etsy to personalize your wedding. However, every expensive idea has a cheap cousin and I took notes. I'll have to save those for another post. There was a panel featuring a few representatives from the Chicago area. 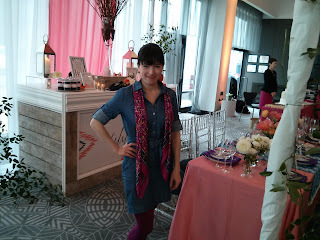 Ami from Elizabeth Anne Designs really (I think) stole the show. She has read through so many real weddings, been to quite a few conferences and met a thousand brides, so she has a good pulse on trends. 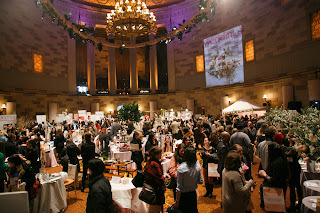 The vendor room was chock full of inspiration and goodies. Here are a few of my favorites. 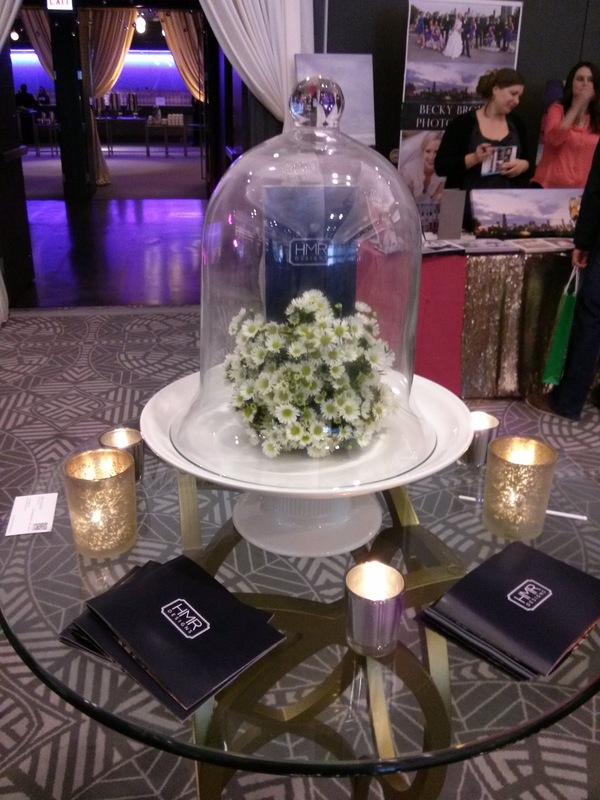 These two displays by HMR Design Group were right up my alley. 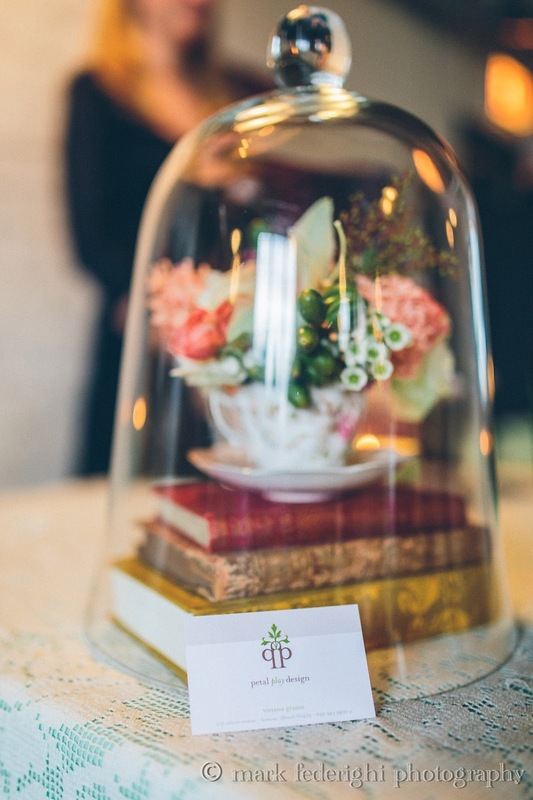 The arrangement under the bell jar reminded me of my Indie Wed booth. I love how all the little chamomile daisies look grouped together. The chairs on the tablescape were AMAZING. They looked like barnwood, but were much more comfortable and you don't have to make them yourself. 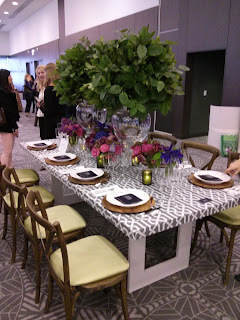 The whole table was a cool mix of textures and colors. Here is the adorable Natalie Walsh from Hello Darling. Yes, her outfit matched her decor. The linens were really unique and that piece behind her lights up. What a cool bar! 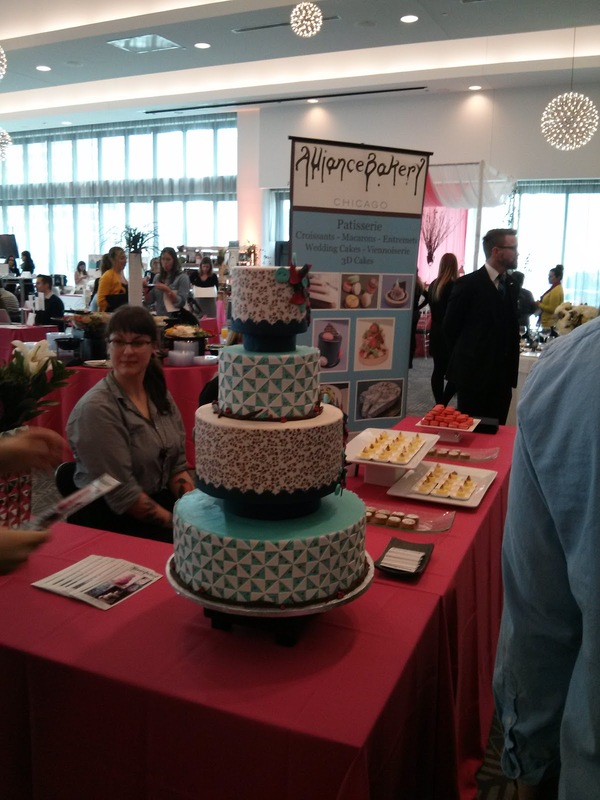 I've gotten a few cakes from Alliance Bakery and they've always been delicious, not to mention pretty. That cake on display was hand painted. My group had to stop and stare for a bit. The samples were on these really neat little disposable trays that I had to photograph. I like reusable stuff for the most part. For the right event, however, disposable is the way to go. These would work so nicely for appetizers. The highlight of the show was the moment that Darcy Miller asked me to photograph her and the women from For Your Party (love that shop) with her phone. I really need to get over this! She must not have been happy with my photography skills (can you blame her?! Look above) because I can't find that photo posted anywhere. I'll keep an eye out and report back if I can dig it up. 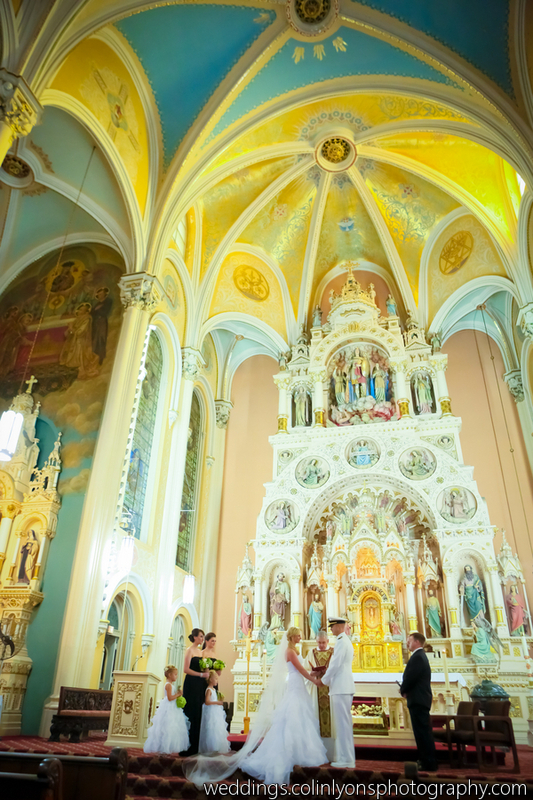 I've been delaying writing this post because I didn't actually get to experience Indie Wed. 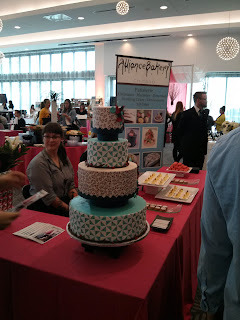 I was there, I met some wonderful couples and I was able to try a very tasty cupcake from Pure Kitchen Catering. It was so busy, however, that I wasn't able to step away from my booth. I must say, however, that I had some lovely booth mates. I'd like to introduce you to a few. I hadn't met photographer Mark Federighi before we set up shop next to his booth, but what luck! First, I forgot my fancy camera. The phone photos that I took of my booth were dark and yellow. Mark emailed me the next day and asked if I wanted copies of his photos. Why yes, thank you very much! 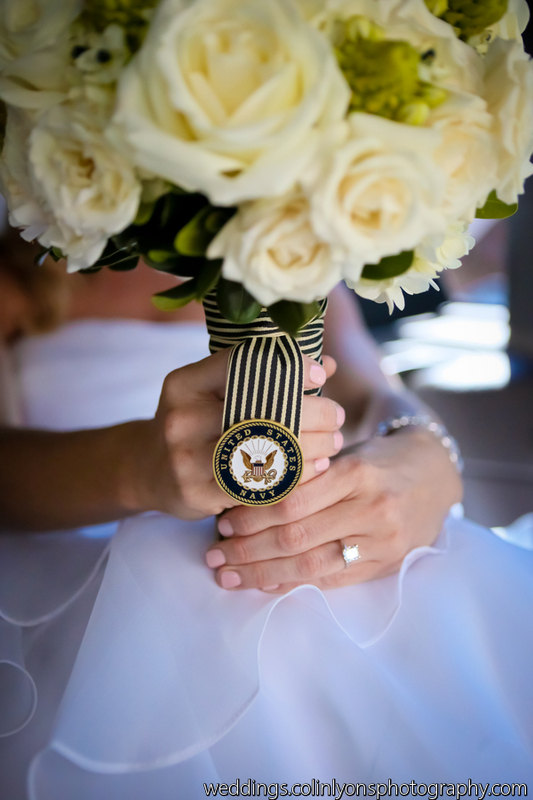 Mark had a really beautiful album of images, with one seriously impressive wedding at a VFW hall. 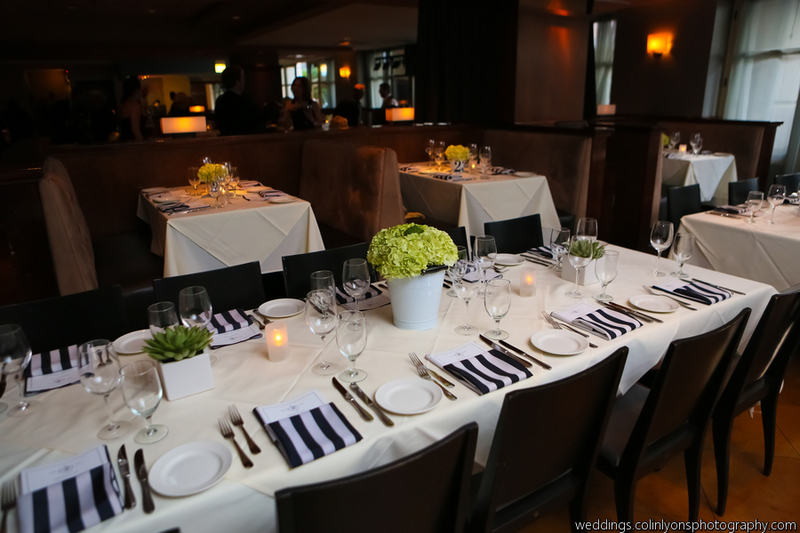 He's new to the business, so grab him for your wedding weekend before he gets booked! Binding Bee was right across from me and I couldn't have asked for a nicer view. Megan Winn had a gorgeous spread of repurposed books. 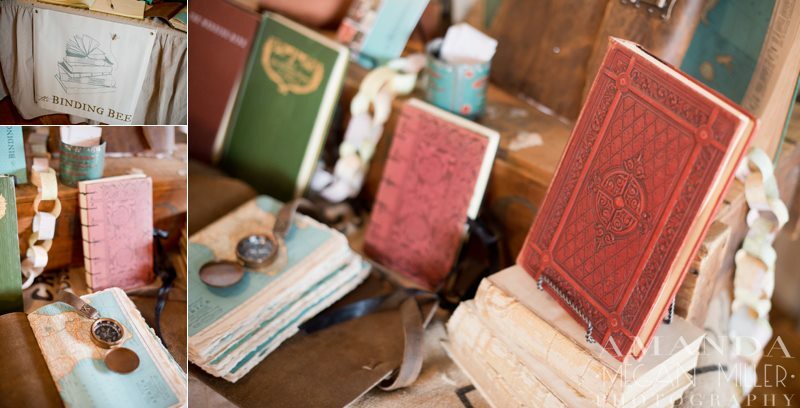 For a bride, these would make a lovely journal, guest book or photo album. 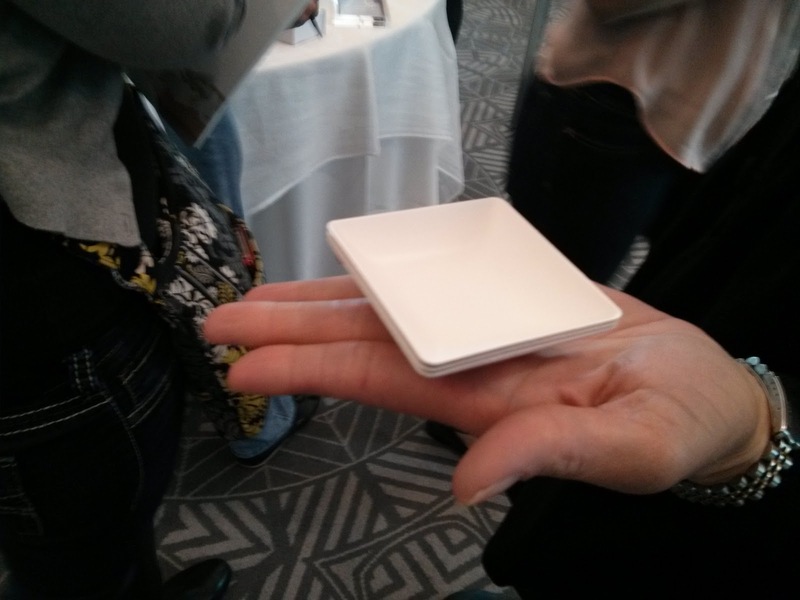 Each one was a little, portable piece of art. 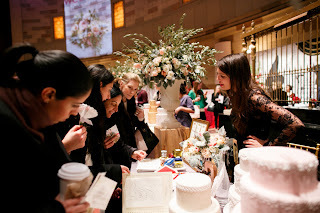 The photo of her booth was taken by another lovely Indie Wed vendor, Amanda Megan Miller. Thank you to my beautiful friend Viviana at Petal Play Design who made my little tea cup arrangement. I wish I had a photo of her rocking booth! 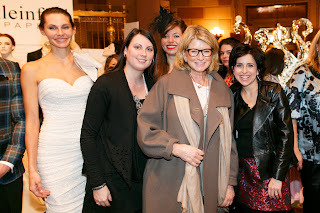 Martha Stewart Wedding Party Ticket Giveaway! UPDATE: We have our winners! 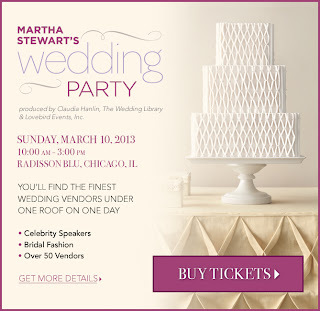 Martha Stewart is hosting a big party in Chicago this Sunday and you're invited! 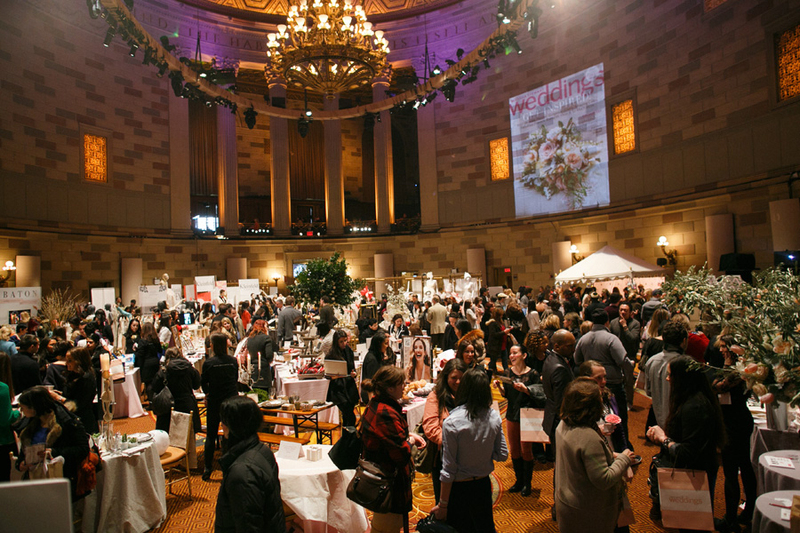 There is a pretty long and lovely list of vendors, with quite a few of my favorites on the list. I am most excited to see Great Life Music perform. Colby Beserra and the Party Faithful from GLM were the band that made my wedding night so memorable. The best part is that I have some tickets to give away! Comment below and I will randomly select the winners. This contest is closing on Friday, March 8 at noon central. Here are some photos from the New York show. I love Darcy Miller! Happy Birthday, Pride and Prejudice! 200 years young, am I right? Today is the 200th anniversary of the publishing of Jane Austen's Pride and Prejudice. This is my absolute favorite book and the inspiration for the name of my business. If you haven't read the book because it has the stigma of being a high school English reading assignment, please do yourself a favor and pick up a copy. Its even free through Google Play. In 1995, I was in eighth grade. I saw an ad for the BBC miniseries of Pride and Prejudice and, although I hadn't read the book, something got me excited... Colin Firth, maybe. Hubba hubba. Anyway, the ad was posted several weeks before the miniseries aired, so I ran out and bought a hard copy of the book (it was 1995- plus I love real books) and tore through it. The cover was boring, the language was antiquated. I was just starting to get into the Beats and this was no Jack Kerouac. But I LOVED it. I love it. I ate dinner in bed so that I could watch the miniseries alone without my younger siblings interruptions. It was as good as the book. When does that happen? Although the most popular scene from that movie is Colin Firth winning a wet t-shirt contest after a swim in Pemberley's pond (duh), my favorite is Mr. Darcy's failed proposal. I love him. I guess I enjoy a good challenge.